Address: 269310 Karachaevo-Cherkessk, Republic, Karachaevsky r-n, pos. Teberda, per. Baduksky, 1. Zapovednik Teberdinsky, in the south of the Karachaevo-Cherkessk Republic, was founded in 1936. Its area is 85,0 thousand ha. It is located on the northern slopes of the Main Caucasus Ridge and consists of two sites -Teberdinsky (65 thousand ha) and Arkhyzsky. The relief is middle and high-mountain; the main part of the territory (83%) lies on a height of more than 2000 m above sea level. The highest point is 4042 m (the Dombay-Ulgen massif). 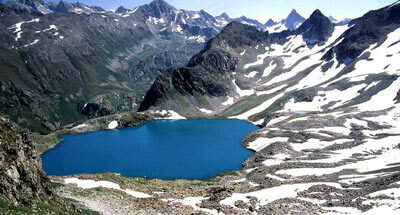 35% of the territory is covered with forests, 28% with meadows; more than 10% is occupied by glaciers. In the plant cover height belts are well expressed. The forests belt (to 2000-2200 m above the sea level) is formed of beech and fragmentary oak forests, and of dark coniferous forest of pine, fir, and spruce; in some areas with common yew as undergrowth. In the forest belt sites of grass steppe are met, formed from Stipa pulcherrima and Stipa pennata, Festuca valesiaca and grasses. In the edges and glades of dark coniferous forests tall grasses of Angelica purpurascens, Heracleum scabrum, Heracleum leskovii, Inula magnified and Inula grandiflora and other species are present. In inundation zones forest of white alder grow. In alpestrine belt (up to 2500-2800 m) birch and beech crooked forests and rhododendron thickets grow, and meadows of mountain-ineadow and steppe species. 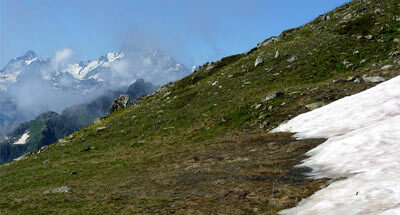 Higher (up to 2800-3200 m) low-grass meadows and plant communities on rocks and eroded slopes are spread. Flora makes up 1260 vascular plant species, including more than 100 trees, bushes and semi-bushes. 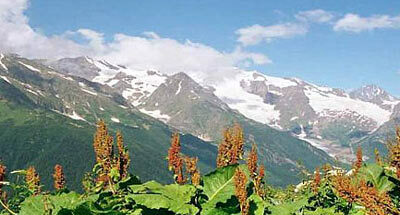 The main forest-forming plants are Pinus kochiana, Betula litwinowii, Caucasus fir, eastern spruce, and eastern beech. There are many species endemic and rare to the Caucasus and listed in the Red Data Book of the Russian Federation: such as the Paeonia wittmanniana, Primula renifolia, Euonymus nana, common yew, etc. Ginseng has acclimatized to the area. Fauna is made up of 43 mammal species, 172 bird species, 6 reptile species, and 3 fish species. 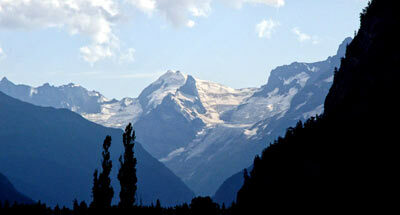 The following species are common: deer, wild boar, chamois, western-Caucasus auroch, brown bear, and lynx. The following species have acclimatized: American elk, sika deer, and bison. Rare bird species nest, specifically Caucasus wood grouse, bearded vulture, golden eagle, griffon vulture, and peregrine falcon. At mountain streams ouzel live. The migration of large flocks of predatory birds is notable — in particular of buzzards, pern (Honey Buzzard), black kite, and harrier. In the wetlands trout live. The Zapovednik has biosphere status. It has also got a European Council diploma.